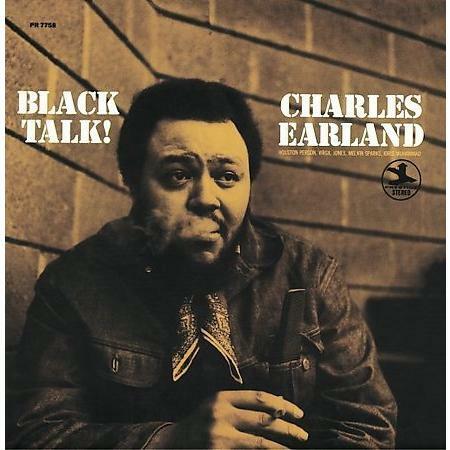 When organist Charles Earland snagged a day in Rudy Van Gelder’s studio with his sextet in December 1969, he was already participating in a rapidly evolving jazz debate – about whether, and how, to embrace the songs and rhythmic styles of rock and R&B. He ’d been a regular in the band of alto saxophonist Lou Donaldson for more than a year, contributing a crisp, rhythmically percussive approach that made Donaldson’s bands stand out among the many groups slinging instrumental blues and sassy-backbeat soul jazz. The purists called what they did selling out. The younger musicians regarded it more as an inevitable step, an engagement with the modern world. (Versions of this debate persist….). The track that destroyed me on this wasn’t a cover, however. It’s the effortlessly flowing tavern blues called “The Mighty Burner,” after Earland’s nickname. Here is a means of teleportation back to the no-artifice jazz playing that happened in small lounges throughout urban America in the 1960s: Once the comfortable medium tempo is established, Earland just snaps off chorus after chorus of vital and wonderfully melodic improvisation. He’s not trying to change the world – he’s just rolling through some blues, having fun, playing the kinds of lines he knew could connect with people who don’t have advanced music-calculus degrees. This entry was posted in Jazz Casual, music, Shadow Classic and tagged Charles Earland, jazz debate, melodic improvisation, rudy van gelder, Shadow Classic, soul-jazz by moonjawn. Bookmark the permalink.